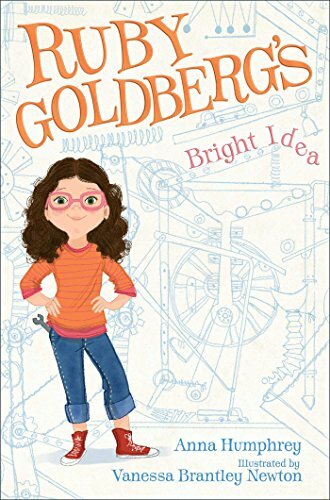 Clara Humble, the winsome and über-confident soon-to-be-fifth-grader described as “Ramona Quimby meets Timmy Failure,” is back for a third and final adventure. 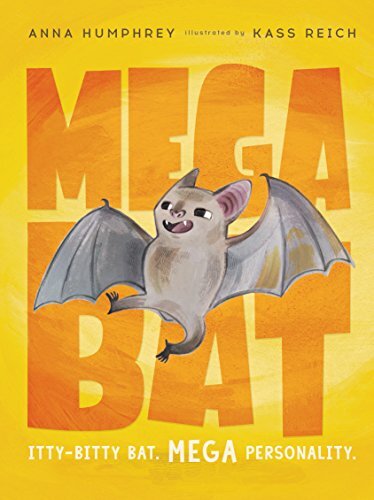 When Clara and her best friend, Bradley, go treasure hunting in an abandoned lot, they stumble upon something even better—a cat about to have kittens! To Clara, their mission is clear: make the best shelter ever and secretly care for the feline family until they can convince their parents to adopt the cats. But Clara and Bradley agree less than ever, and keeping the cats fed comes with a cost. Clara hatches a brilliant plan to raise kibble cash by producing the cutest internet cat video ever. But when condo developers start to bulldoze the lot, Clara and Bradley have to work together to save the kittens. Can Clara pull it off? Or will it turn into one big cat-astrophe? 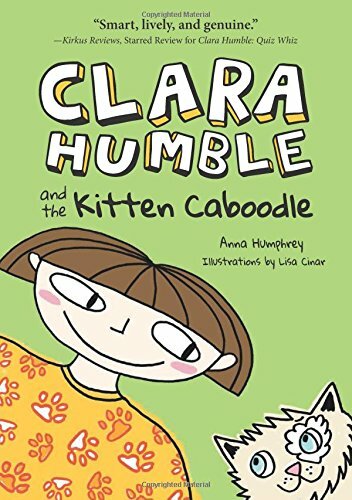 Illustrated with Clara’s comics featuring her alter ego @Cat, the final installment in the Clara Humble series is fast-paced and flat-out funny, with the all-star Clara at her very best. 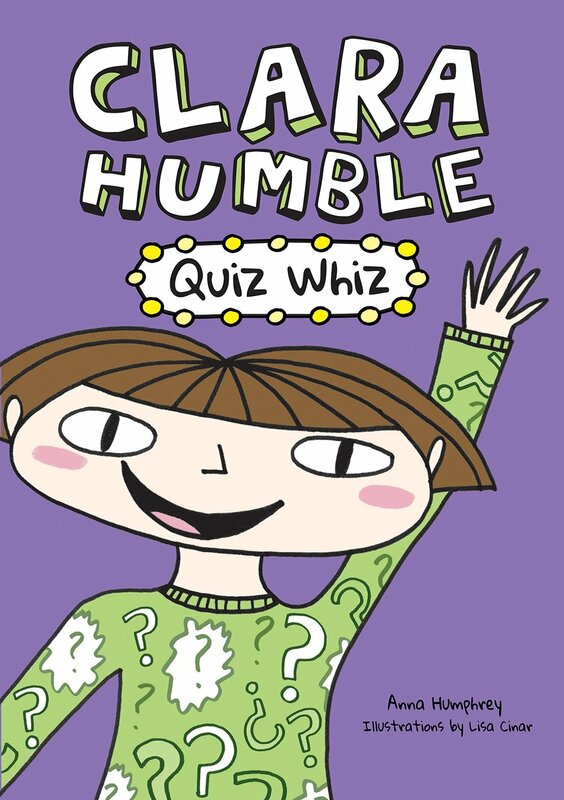 Clara Humble, the winsome and über-confident fourth-grader who’s been described as “Ramona Quimby meets Timmy Failure” is back for a second adventure. When Clara and her best friend, Bradley, discover their favorite game show, Smarty Pants —a mix of trivia and obstacle course stunts — is recruiting in their area, Clara is sure she’ll be chosen. Fame and game-show glory will be hers… with Bradley’s help, of course. Things get complicated when Bradley also earns a contestant spot on the show, and the friends are pitted against each other. It escalates into an epic schoolyard battle between boys and girls, and not everyone is playing fair. Will Clara and Bradley’s friendship survive? Between the tension, sabotage, shenanigans, and Clara’s comics featuring her alter ego @Cat, this is a flat-out funny, fast-paced read. The power to make stuff spill* (* without even touching it). The power to communicate with chinchillas. The power to wake up at exactly 7:14 every morning. No earlier, no later. Even on weekends. Even without an alarm clock. Clara's pretty sure that with a bit of training she'll be a real-life superhero! And just in the nick of time, too: When she hears that her school is opening its doors to the meanies from rival school R.R. Reginald--including her arch-enemy, bossy Becky McDougall--Clara springs into action. But she soon learns that saving the day is harder than it looks... and that sometimes trying to do the right thing can go very (very) wrong. Margot Button has a resolution for 7th grade: Be more normal. Easier said than done! Well, Rome wasn't built in a day. If Margot could just learn to control her big mouth (and hair), there is hope. The new girl, Em, needs a friend too. Plus she dresses like a rock star, is quick with comebacks, and actually has the guts to stand up to Evil Sarah. Em has an agenda for change at Manning Middle School and wants Margot on her side. Progress! So, okay, Em has a flexible relationship with the truth. And her secret campaign to turn the tables on Sarah's clique may involve bending some laws. But after years of Sarah's bullying, it's hard for Margot to resist Em's call to action. Margot's approval rating is finally up, and well, it's only fair to take the mean girls down a few notches...isn't it? a) she works at a gift & stationery store, surrounded by annoying singing Cupid dolls, tacky heart-shaped balloons, and sappy cards with poems that don’t even really rhyme. Elyse isn’t interested in putting her heart on the line. 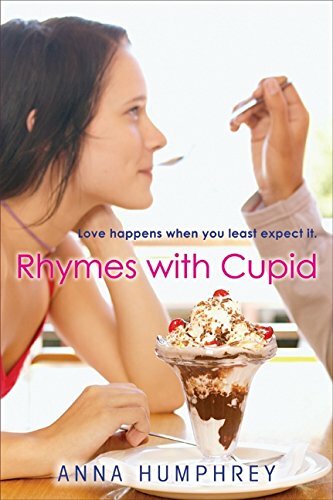 But with Valentine’s Day approaching, she finds out that avoiding Cupid’s arrow is a lot harder than she expected.